TrueCaller is an app for smartphones that shows the user who is calling when they call, even if the caller is not in user's address book. It gives you information about callers who are beyond your address books like marketers and spam callers. It can also block unwanted calls, preventing you from being disturbed with unnecessary call rings. The app is becoming quite popular with dozens of millions of users. It is quite efficient in identifying and eventually blocking unwanted calls and in matching names and numbers. Now before installing it right away, read this article to the end. Your decision might be slightly more complex. The app runs on Android, iOS, Windows Phone and BlackBerry 10. It requires internet connectivity to run via Wi-Fi or mobile data. The interface is quite simple and intuitive. It does not have tons of features and does not need to because it does the few things it says it will do, as we see below. The app is quite light on resources, with less than 10 MB in bulk. When you install it, it goes through a quick registration process requesting you to sign in through either a Google account, a Facebook account or a Microsoft account. TrueCaller works first and foremost as a super-powerful caller ID app. It tells you who is calling, whoever the caller might be and wherever they might be from. You will no longer see things like "Anonymous" or "Private Number" on an incoming call. You will also be saved from the disturbing commercial calls or calls from wet blankets. More than just identifying unwanted spam callers and telemarketers, TrueCaller can also block them. For most of them, it does the work without you having to do anything since it has a huge directory of the telemarketers and spam callers in your region and surrounding. You can also build a blacklist to add to the already existing spam list. When the unwanted caller calls, they will hear a busy tone on their end, while on your side, you will hear nothing. You can choose to be notified of their calls or go totally un-notified. TrueCaller allows you to search for any name or number. Just enter a number and you will get the name attached to it, plus some other information like the phone carrier, and possibly a profile picture. It may not be accurate in certain cases, but it is in most cases. In fact, the more users there are in a certain region, the more accurate the app is in matching names to numbers and vice versa. It is important here to underline the name to number rendering feature which is quite new and revolutionary. Type a name and the app returns several matches that bring you to getting contact information or any person or organization. You can copy a name or a number from anywhere and TruCaller will find a match for it. It even does a bit of presence detection — you can see when your buddies are available for a conversation. It works like a phone directory, but with much more power. It actually gives you what the phone directory will not. This has brought up privacy concerns, which we discuss further below. TrueCaller has shown to be inaccurate in certain cases, but it is overwhelmingly accurate. Moreover, the app is still driven by advertisement. Though it features ads, these are quite discreet and not intrusive. The biggest downside of the app and the service is the question of privacy, security, and intrusion. Right from the start, especially when you learn how it works and when you go through the installation process, there is something intimidating and freaky about it. If privacy is not a big issue for you and you don't mind your links going public, you will enjoy the call blocking and effective name-number matching the app offers. But if you mind your privacy and that of others, read below. Many people using the app have searched their own names and numbers and got surprises. Many found their numbers with strange nicknames besides theirs' and pictures of themselves they never knew existed. This comes from finding results from other peoples' contact lists, people who have saved your number on their devices with funny names and pictures they shot without you knowing. Imagine what ill-intentioned people can do with that. An important question here is how TrueCaller works. During installation, it takes your permission (which is part of the agreement prior to using the app) to access your phone book, which it appends to the huge database on its server. This way, the information you have on each individual is processed with that which the system found on other people's phone books about the same individual. They call this crowdsourcing. 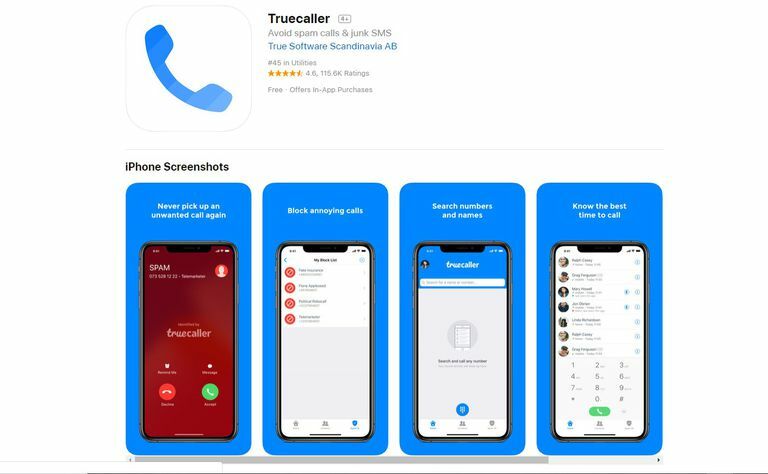 They gather information from all TrueCaller users' phones and work out on it using a form of artificial intelligence using crawlers and predictive technology to establish patterns and data elements that they use to match names and numbers. The crawler actually also crawls through VoIP and instant messaging systems like WhatsApp, Viber, and others. TrueCaller claims that the contacts they take are unsearchable by users, which is seemingly true. But while people out there cannot search these contacts on your phone, they can search the same data in another form on their directory. So, by using TrueCaller and agreeing to their terms and conditions, you are giving away the privacy of all the contacts in your phone's contact list. Besides, this is how you often end up getting inaccurate and obsolete data about a person or a number. This is because data is extracted from people's address books, which are often not up to date. But the greater concern here is that your contact information is available up there for anyone to search. Now, at a time when giant apps like WhatsApp are getting dead-serious about user privacy with features like end-to-end encryption, are we prepared to allow such privacy issues go unchecked on our phones and even contribute to it? For many people, this is a non-issue, especially given the power the TrueCaller app comes with. Think of how naively people give away many aspects of their private lives on Facebook for the world to see. On the other end, privacy hardliners will have a no-no for this app. For yet others, it is just a trade-off between getting a very effective look-up directory and call-blocking at the price of some privacy. Whether you use the app on your phone or not, your name and contact information are most probably already processed and sitting in TrueCaller's directory, among billions of others. This without your permission. Maybe so for all contacts in your contact list. The good news is that you can unlist your name from the directory. When unlisting yourself from the directory, you are actually preventing people from seeing your name, number and profile information when searching the TrueCaller directory. You can do so by quickly filling the form on the Unlist Phone Number page. Note that unlisting your number also requires you to stop using the app and deactivating your account. You need to completely move out of the system. Even if you are not using the app and have unlisted your number from the directory, you can still use it online through their main page. But there, you can only enter number, not names. Once you unlist, your number will be absent from the search results within 24 hours. But will it be completely erased? Where has it been shared with? We don't know. Finally, you can subscribe to any of these two philosophies. Since your contact information is already up there since long before you knew without you having had anything to say about it, it is only fair to take advantage of the system as a payback and bring some power to your smartphone, benefitting from name and number lookup, caller identification and call blocking. On the other hand, you may want to shun the system altogether and unlist your number from it.